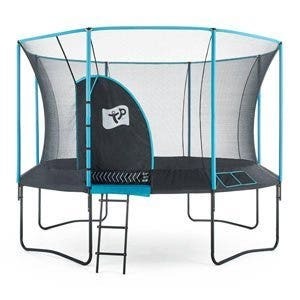 8ft x 14ft Skyhigh Oval Trampoline with Safety Enclosure is perfect for gardens which are longer than they are wide, a common problem when considering a trampoline. 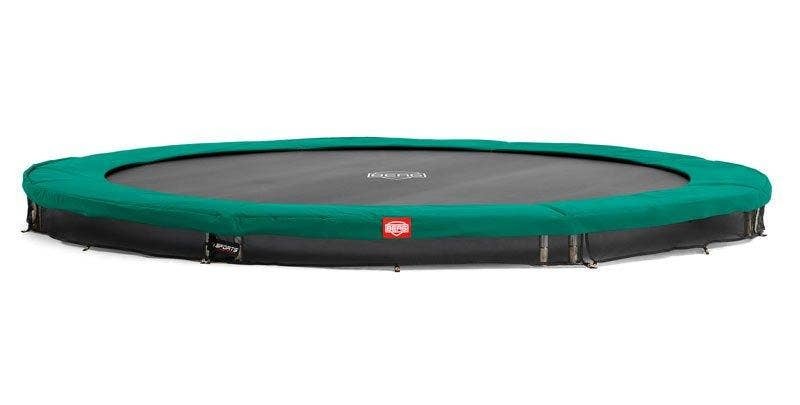 This oval trampoline also have a more expressive bounce than a standard round trampoline. This is because the shape of the frame doesn't pull the user into the centre of the mat as does a round which gives them more freedom. 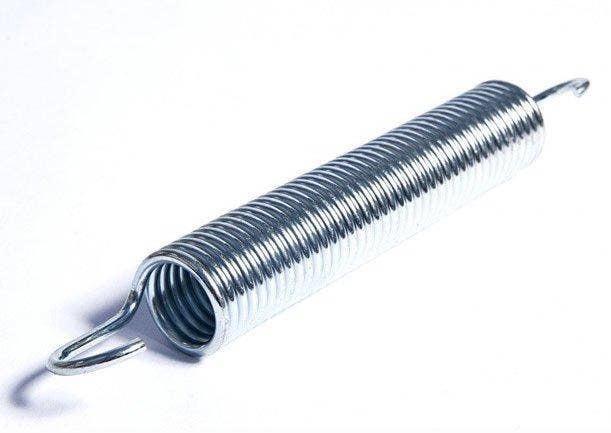 This Skyhigh Oval is supported by 70 high performance springs for a very exciting bounce. 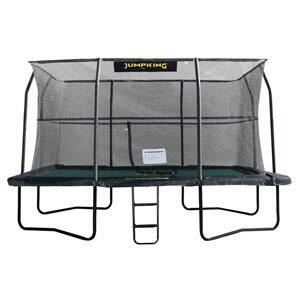 Whilst offering this excitement the trampoline is also built to be safe. 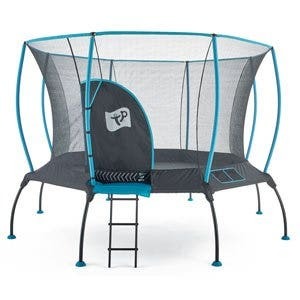 It has 27mm thick, 33cm wide surround padding which will prevent the user coming into contact with the springs or frame of the trampoline. 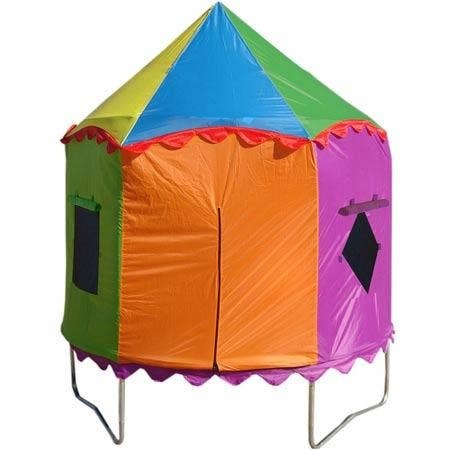 The safety enclosure then surround these pads allowing for more bouncing room whilst keeping the bouncer on the mat. 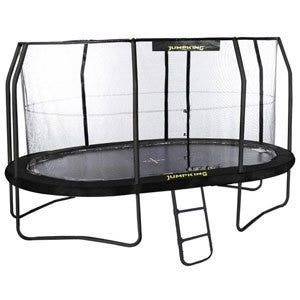 This oval trampoline can also support up to 114kg (18 stone) which means that it is perfect for growing kids. Parents can also give it a go!